This weekend we received the most wonderful gift we have ever been given-- this beautiful hand-drawn portrait of Paddington by New York City based artist Jordan Spilman. Hello!? Are you seeing this?! 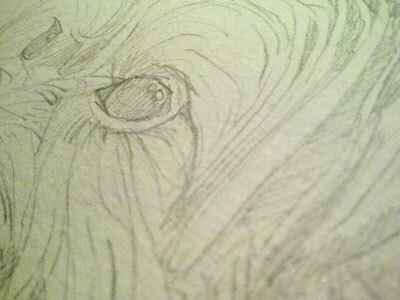 We can't get over how he managed to capture the essence of our chief Barkista on paper. 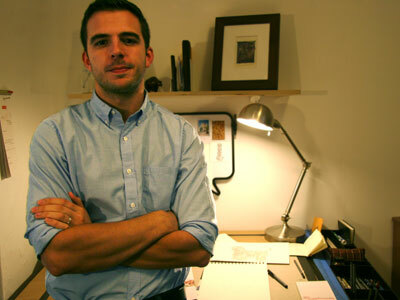 A graduate of the Glasgow School of Art, Jordan hails originally from the UK. He is a trained painter and sculptor but has a real love of portraiture (both people and pets). Not being allowed to have animals as a child, has made him love them even more, and is probably why he is able to capture their character so well on paper. His pet portraits in particular have become sought after both in the United States and back home in the UK as essential collectibles for all animal lovers. And now you can own your own beautiful piece of art! Head over to his website to check out more of breathtaking portfolio. 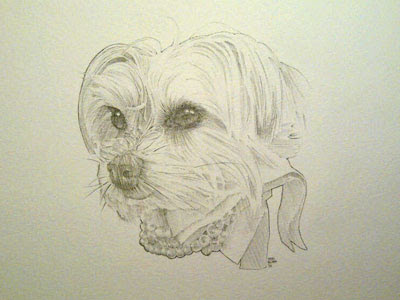 What better gift to give this holiday than a portrait of your favorite pup? Just imagine the look of amazement you're going to see when your friend/parent/relative/sibbling opens up this package. Trust us-- you'll be the talk of the town. We seriously can't tell you how lucky we feel to own this drawing, and are very thankful for Jordan's generosity. 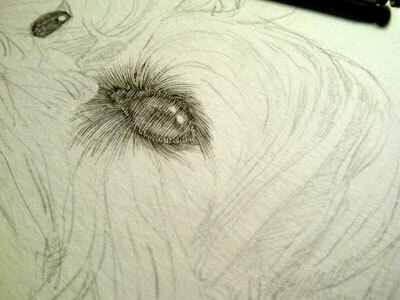 For information about commissioning your own puppy portrait, email info@jordanspilman.com. He also have several other pet portraits available for purchase from Etsy. *Samples were provided by PR for review. Please see our disclaimer for more information. Jordan is exceptionally talented and people with his draftsmanship skills are so rare. He is also generous and has also supported charity events i have asked for help with. Could not agree more with you that a pet portrait from Jordan that you and guests to your home will enjoy forever would be way better than any old sweater as a gift! How beautiful! Wookie would love this! Jordan is so talented and I love his unique style! I got to work w-him on a job this summer and he's also a great guy all around. 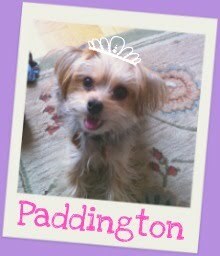 Paddington is a precious dog! !